The application materials for 2017 Bay Partners Grants project proposals are now available on the Sarasota Bay Estuary Program's website. Businesses, non-profit organizations, schools, academic institutions, civic associations, religious organizations, and neighborhood/homeowners’ associations located in Sarasota and Manatee counties with projects that will benefit the Sarasota Bay watershed are eligible to receive funding. As in past years, there is $20,000 available for awards in the Citizens Action Plan budget. Maximum grant award is $3,000. Applications are due on Friday, March 3. 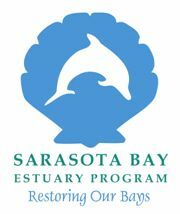 The Sarasota Bay Estuary Program is dedicated to restoring the area's greatest natural asset - Sarasota Bay. We offer special thanks to our partners: Sarasota County, Manatee County, City of Sarasota, City of Bradenton, Town of Longboat Key, U.S. Environmental Protection Agency, Florida Department of Environmental Protection and Southwest Florida Water Management District.